"Surfing is my life. I live, breathe and eat surfing...but I mostly eat it." 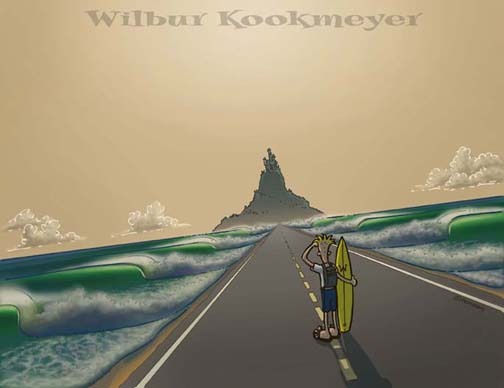 international surf star, Wilbur Kookmeyer. This is the place where you can find the surf comics and surf art that launched Wilbur...over the falls. See the all new surf adventures of Wilbur Kookmeyer as he continues his quest to be the most awesome surfer the world has ever known. Wilbur Kookmeyer limited edition prints now available! 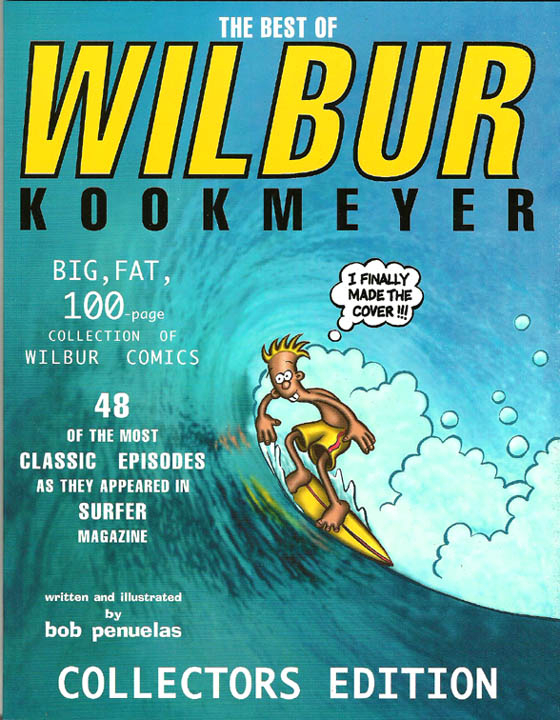 Classic Wilbur comic strips, as they appeared in Surfer Magazine from 1986 to 2006. 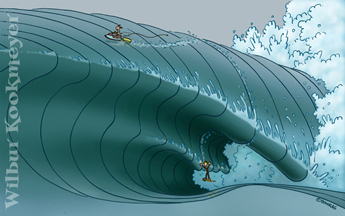 Learn how to draw a comic strip wave.